Sometimes, blogging (or writing in general) can be a bit discouraging. And then I look around on the internet, and it seems like everyone else is succeeding at this writing thing. Honestly, I’ve wondered lately if I should continue my efforts. I felt that surely this was a confirmation that I am most assuredly not a writer, that I should just get back to my regular work. This morning, though, I got a bit of encouragement in my mailbox, and I realized that although notoriety may not come from my efforts, my only responsibility is to stay faithful, serving God and others. I listened to it, for awhile. Logging in to check another blog this evening, I was surprised by several responses to a post. Shocked even. People are reading what I write? One person commented, “Me too!” She had had similar experiences to what I had described in the post and seemed to feel a sort of validation of her own experiences after reading my blog. If one person reads and is encouraged by my writing, then that’s enough. Popularity doesn’t matter, but being faithful to God does. And maybe that’s all I need to be concerned about at the moment. 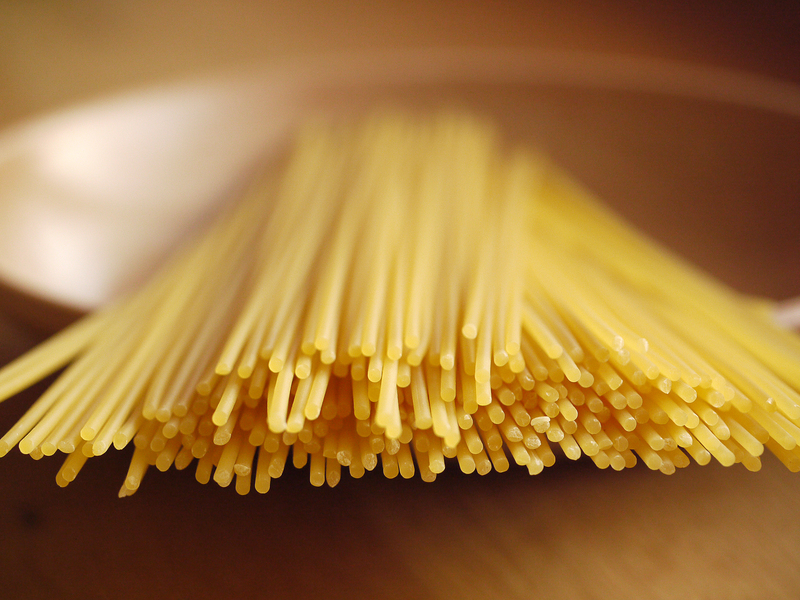 Throwing spaghetti against a wall or cupboard is one way to see if the pasta is ready to eat. A little messy, but it apparently works. Lately I have been thinking of this technique in relation to my own life; it seems an apt metaphor for life and change. A time of uncertainty—such as unemployment or divorce—can often lead to desperation to produce any sort of positive results. Throwing our passions and talents against a wall, we hope that something sticks. Admittedly, this sort of period in life won’t necessarily be fruitless. When faced with the loss of comfort, we often find our own creativity or latent talents. For example, a month ago I would not have considered manipulating photographs for a hobby. My husband was the one with visual talent, not me. Too without the immediate need for some sort of employment, I probably wouldn’t have written an article, much less a blog post. My focus was on my work and others’ writing, not my own expression. Both in the areas of writing and photos, I have discovered that I do still have something to share. However, without an overall plan or vision, the efforts can lead to nothing. So far, mine have resulted in plenty of spam emails, but no real job or contract offers. Perhaps I need to redouble my efforts or refocus them. Or maybe the strands just need to “cook” a bit longer. As with cooking pasta, continuing with the process is important. Even if work or applications don’t “stick” this time, the efforts may bear fruit at a later date. Unfortunately, as a middle-aged woman with a family, waiting for that future time is much more difficult than it might have been when I was younger. When I fail, I’m not the only one to suffer. My husband and his daughter have to do without, leading to their dissatisfaction and resentment. The desire to avoid this and a natural lack of patience lead to my desire for results now. Perhaps, though, age and responsibility bring some benefit as well. Humility and wisdom—at least, hopefully—have been gained by this point, along with a greater focus on quality work. Having come through my 20’s and 30’s, I see with a different perspective and know just how much I still need to learn. Also there is the experience of past successes as well as failures. Yes, maybe age does bring something along with the wrinkles. For my family and myself, I will keep trying. I’ll keep throwing spaghetti up against a wall until it sticks, and then we’ll all reap the benefits of my continuing to try.